We all want to know how to get glowing skin like that dewy, sun-kissed J LO glow that she is so well known for. But to achieve that level of sun-kissed perfection, it’s not just about finding the top skincare products, but what you put under your skin is just as essential. We have selected five good-for-you foods and drinks that we suggest you try during the first few weeks of fall and tell you why your skin will thank you. Before you press start on your Nespresso machine, down a tall glass of water with multiple slices of lemon - yep, EVERY MORNING - your skin (and liver!) will thank you. 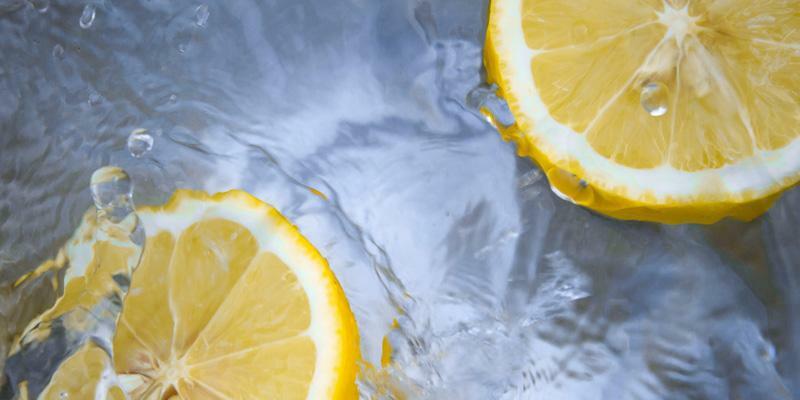 Lemon is loaded with collagen-boosting vitamin C, promotes hydration, and even makes your breath a little fresher for those early morning kitchen chats. Not to mention, lemon also offers your liver a nice little cleanse-like boost making these little yellow beauties beneficial for more than just a fresh taste! 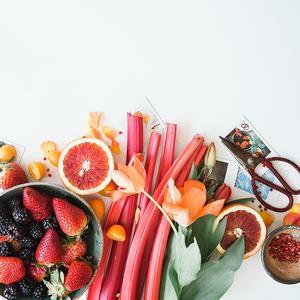 This tropical fruit packs a flavorful punch with healthy skin benefits. 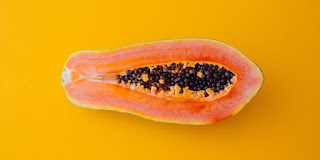 Papaya has been used to relieve inflammation (a common source of several skin conditions) and also helps fight blemishes. 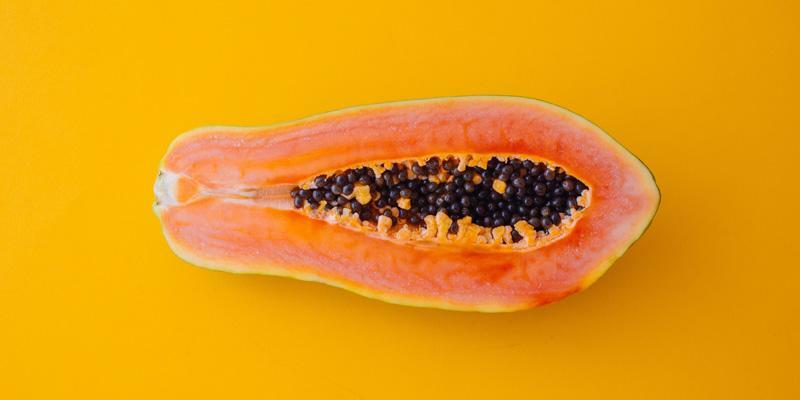 Besides topical benefits, a single cup of fresh, ripe papaya contains 144% of your daily value needs of collagen-strengthening vitamin C.
These power-packed poms are a must-have in your glowing skin diet. You will always be asking for extra pickles after reading this! 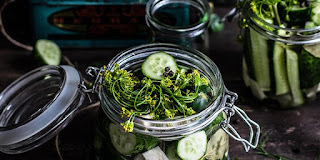 Fermented foods are rich in nutrients and since the fermentation process assists in pre-digestion logistics when consuming foods like sauerkraut and kimchi, your skin benefits by absorbing the nutrients faster and easier. The oil in chia seeds has incredible beauty benefits! 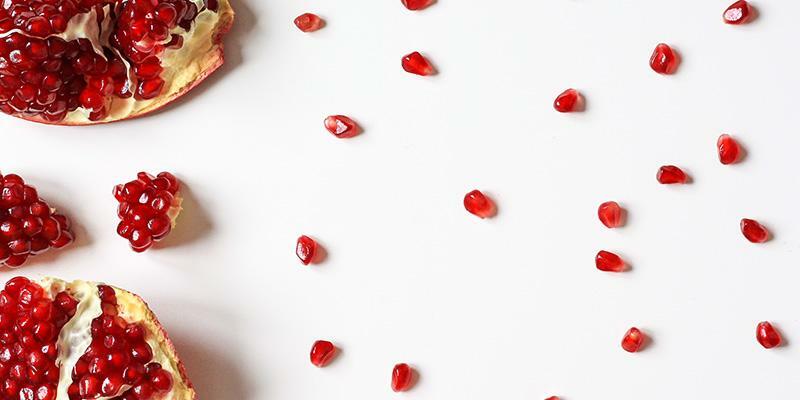 Rich in omega-3 fatty acids and powerful anti-inflammatory benefits, this tiny seed has calming and antioxidant-rich properties that will perk up those pores. 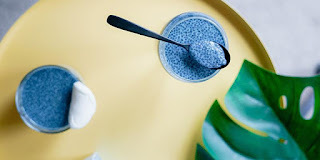 Throw a few tablespoons in your morning smoothing, and you’re on your way to happier skin.